They are healthy, good shapes, and beautiful. First day i came, i was blowed out by their beautiful faces, women and men. Seriously, most of them were so insanely-goodlooking. They are tall, blond, beautiful eyelashes. Really. I feel like a maid compare to them. There are many times i catches them running, doing exercise. No wonder why they are in a good shape! Envy! Healthy food = Cheap, Fat food = Expensive. This is one thing that i like, or don't like about them. If you wanna save some money in Denmark, you have to buy fruits, vegetables, or any healthy food that are actually cheap. at least cheaper than in Indonesia. In Indonesia, if you wanna eat salad for lunch or dinner, or anything, you have to be ready to have an expensive daily life. Here, the Danish government has put some taxes for unhealthy food. but in other way, cheap prices for fruits! Help yourself! Ok, this wasn't fun. I came to Aarhus by train from Copenhagen with these big luggages, in total of 50kg. At a time we were trying to took off from the train, people don't help us. Well, actually i don't blame them for this, because i as an Indonesian, well, we are used to be helped. There are maid in houses, people help us on the road even though we didn't ask, we are used to be a little bit 'lazy' sometimes. Here, no i cannot be lazy. I have to find myself a way to do anything. Which is a great learning for me. I have to be more independent. My friend, Amandari, and I had to carry our own bed from the furniture depot to our room, which was like 600m or so. We were dying. I'm putting a video about it on this page. But you know what, it's part of learning! Government takes care of everything. Well, not everything. But at least what a Danish teacher on my intro days told us. Basically, everyone is taken care of. If you have a child, the government gives you money, you don't even have to pay to go to school, the government pays you to go to school! Danish teacher told us that even someone is sick or laying on the ground, the government will take care of them. People pay high taxes in here. Like really high. So everything that they need is basically provided by the government. If you're sick or need a surgery, you can go to doctor for free. Tax system is very complicated, so most of people just don't wanna know about it. All they know is the tax-men in the government are the one who's counting how much you have to pay every year/month, so they don't have to worry about counting all the stuff. Hygge. This is what i admire them for. Hygge is a Danish culture that cannot be translated in English, means creating nice, warm atmosphere and enjoying the good things in life with a good people around you. What they do to relax themselves after work all day is to sit on the park, enjoying the weather, talking, have a drink, and everything relaxing. Not like us, Asian sthat loves taking picture of every moment, and sometimes forget about people around us. In Denmark, the quality time is very very admiring. When you have a dinner or hangout with your friends, you will be talking to them and have a good conversation. This what i experienced when i hang out with my Danish friends and we were talking for hours without even looking at our smartphones. Definitely something to learn! 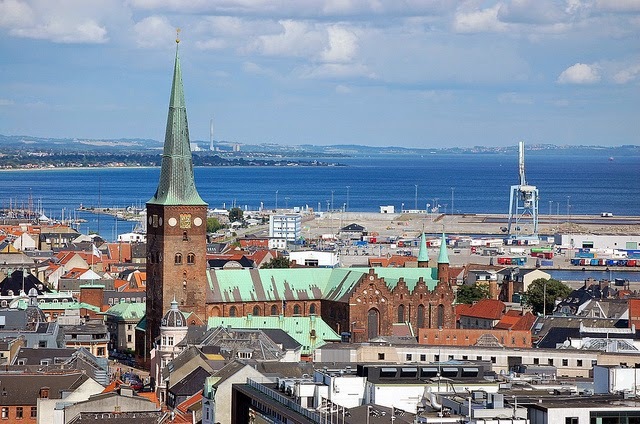 Those are my experience in Denmark, and please leave comments if you feel something should be added or edited, because i'm not perfect, and again this is only my opinion of being three weeks in Denmark until now. Well, two years to go!